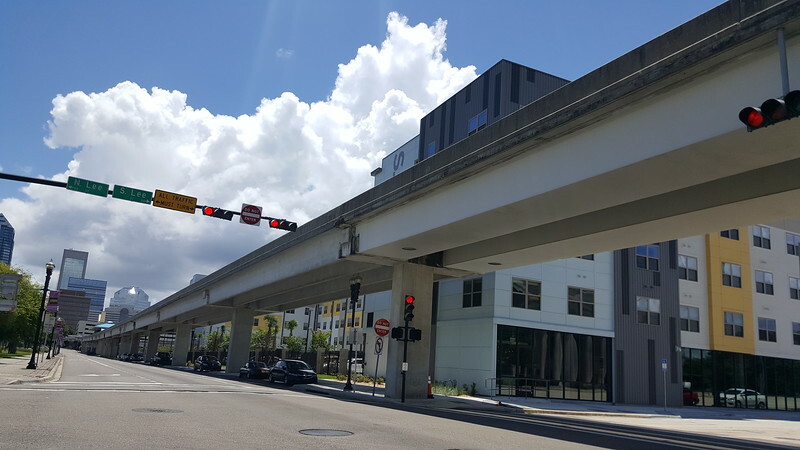 Today, the site of the recently completed Lofts at LaVilla represents a rebirth of a desolate area of Downtown Jacksonville. Nearby, construction crews are in the process of removing remnants of long demolished buildings for another multi-family development that will be known as the Lofts at Jefferson Station. However, a century ago this stretch of West Bay Street could have been easily described as a scene with international flair. Twenty million immigrants arrived in the United States between 1890 and 1920. Typically associated with well-known northern and midwestern cities, immigrant groups also found Jacksonville to be an attractive destination to pursue the American dream. Playing an important role in the rebuilding of the city after the Great Fire of 1901, these immigrants operated businesses and formed small ethnic enclaves that have largely taken for granted and razed over the years. While the Florida East Coast Railroad was one of the most energetic promoters of enticing immigrants to Florida, Jacksonville’s early Greek settlers arrived from Southern Greece and Turkey as sailors from ships that docked along the riverfront. 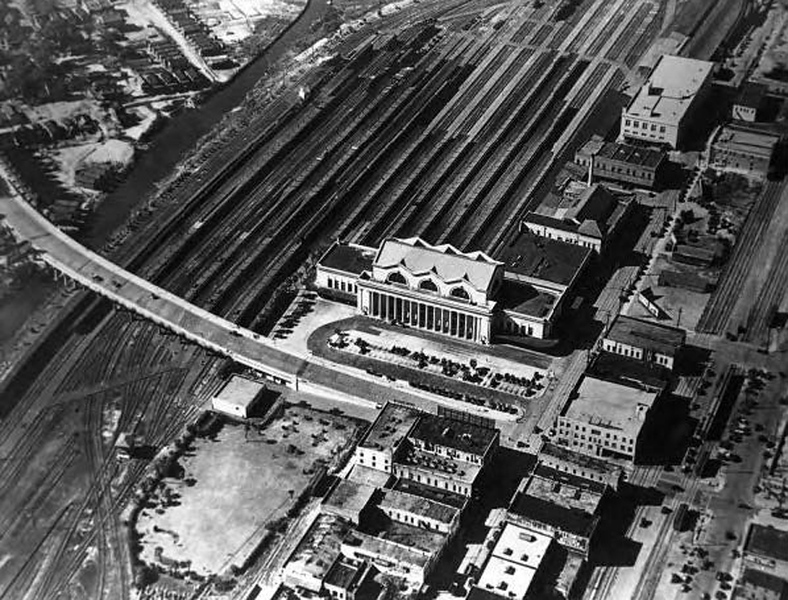 An aerial of Railroad Row and the Jacksonville Terminal passenger rail station. Courtesy of the State Archives of Florida. These early immigrant entrepreneurs tended to reside near their businesses or places of employment. Like today, businesses were located in areas of town where they could be successful. In the case of the city’s early Greek population, the majority favored occupations in food-related enterprises such as restaurants and fruit markets. Anchored by wholesale grocery, produce, and fruit markets, a compact corridor near West Bay and Broad Streets quickly became a preferred location for the city’s turn-of-the century Greeks. 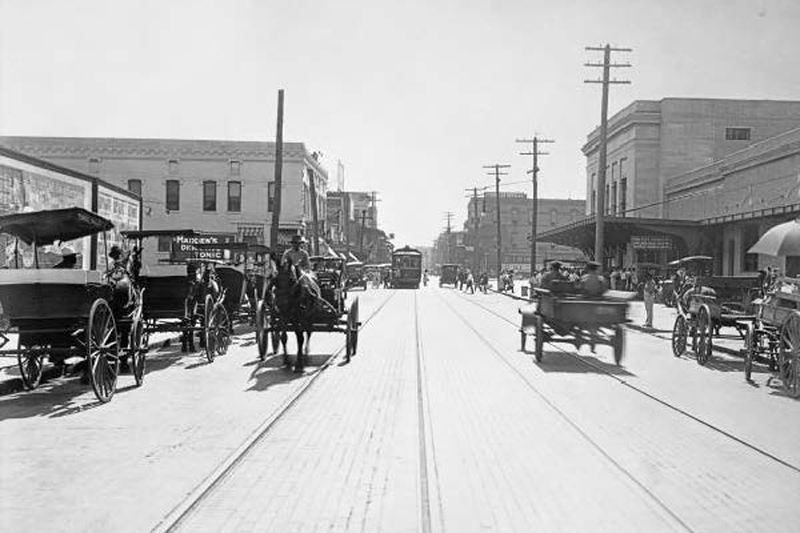 By 1910, this section of Downtown had become known as Railroad Row. Here Greek proprietors employed relatives and others arriving to town from their homeland. A total of 32% of the local Greek workforce was employed as fruit dealers, including John Moussoulas who operated a fruit store across the street from the train station. Others, including brother Thomas Moussoulas, operated the city’s 10 Greek-owned restaurants, six of which were located in Railroad Row. Featuring the slogan “We Never Sleep, Open Day & Night,” one of the most popular was the Maine Quick Lunch restaurant owned and operated by George Cotsonis on Broad Street. A few eateries were owned by Greek hoteliers such as Peter Manos’ Delman Hotel and restaurant on West Bay Street. Railroad Row during the early 20th century. Courtesy of the State Archives of Florida. Also home to 49% of the city’s 1910 Greek population, a housing pattern developed similar to larger American “Greektown” districts where Railroad Row proprietors like Louis Pappas leased living space above or near their businesses to other Greeks. Owner of Bay Street’s Olympia Hotel, Pappas rented rooms to several men from Greece employed as cooks, dishwashers, waiters, and porters at his hotel and restaurant. For two decades, this community grew along with the rapidly expanding city around it. Arriving in significant numbers, ethnic distinctiveness was sustained through social organizations, church and occupations. A sign of the city’s growing Greek population was the establishment of a local Greek Orthodox congregation with the aid of the Rev. Arsinious Davis, the archmandate of the Holy Greek Orthodox Church for the Savannah District in 1911. This was followed by the opening of the Greek and Syrian Club by A.K. Carazar in 1915. By 1920, the club had relocated to a larger space at 618 W. Forsyth St. while the original location became the home of the Acropolis Club. Railroad Row’s Greek population continued to grow until the passage of restrictive immigration laws during the 1920s. While early 20th century counterparts in other American communities survive, Railroad Row has largely disappeared from physical existence. Urban renewal, technological changes in the logistics industry, and the closure of the passenger rail terminal ultimately brought an end to a local district characterized with international flair. Once a beehive of multicultural activity, today only one building, 618 West Forsyth Street (article’s cover image), remains standing from the area’s rich history of immigration. Ennis Davis is a certified urban planner, a graduate of Florida A&M University and a past citizen member of the Times–Union Editorial Board.